After enduring WWII-era brutalization by Hitler’s Nazi Party and decades of repressive Soviet dictatorship, the tiny nation of Estonia began to declare its independence from Communist rule in the late ’80s. 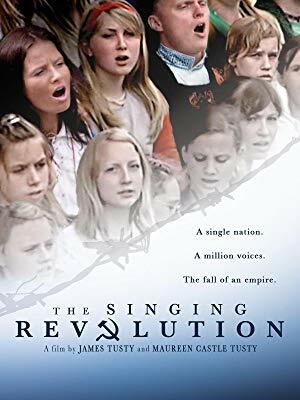 Over a five-year period, hundreds of thousands of Estonians began to systematically and repeatedly gather in public venues to collectively sing illegal patriotic songs, declaring their desire for national independence but never resorting to violence amid their protests. Discussion led by Tom Obert.